The University of British Columbia was created by provincial legislation in 1908 and provided with a magnificent 260 acres site at the tip of Point Grey, away from the City's nefarious influence. An international competition to design the new campus was held in 1912. The jury unanimously selected the partnership of G.L.T. Sharp and C.J. Thomson, two young architects recently arrived in Vancouver from England. They proposed a grandly scaled plan based on the planning principle of the planning principles of the Ecole des Beaux-Arts, with grand boulevards, superb vistas and a hierarchical plan that placed the administration at the highest point on University Boulevard and assigned each faculty its own precinct - a distinction that is still largely maintained. The plan called for buildings to be designed in the "Modern Tudor" style - what we now call Collegiate Gothic, to express and perpetuate the traditions of British scholastic life. The new campus plan of 2010 makes sustainability a priority to help create a livable environment conductive to academic excellence. A stelar example is the centre for Interactive research on sustainability, designed to be one of the greenest building on the continent. The largest capital initiative at present is branded [email protected], a university town likened to Oxford and Cambridge. The land immediately east of the Campus are the University Endowment lands, a green belt between the City of Vancouver and UBC. Much of the UEL have been developed residentially, including some fine early modern and recent homes, which are not visited. A large part of the UEL was dedicated as Pacific Spirit Regional Park in 1989. A good part of it will become part of land settlement negotiated with the Musqueam Band, whose people consider Point Grey their traditional land. 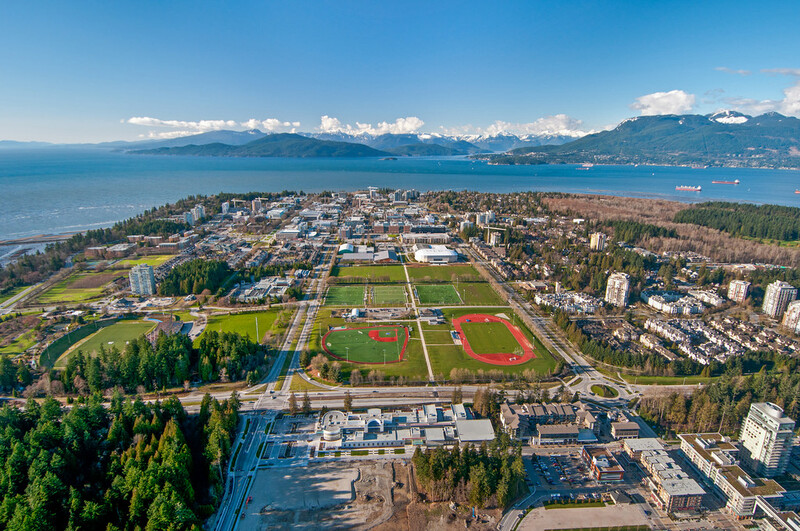 The UBC neighborhood is a vibrant, ever-evolving community now celebrating its centennial year making it a favourite choice for college students, young families, and real estate developers.